A commissioner for oaths is an individual who is appointed by the Ministry of Justice and Solicitor General in Alberta. The Notaries And Commissioners Act is the Alberta legislation that sets this out. Becoming a commissioner for oaths allows someone to administer oaths and solemn declarations. This is different than being a Notary Public. For example, a notary public is able to certify true copies, completing documents, etc. Commissioner for oaths testing to becoming a commissioner for oaths is a key step to be able to administer oaths and solemn declarations. The Government of Alberta has a free commissioner for oaths information and instructions guide. This guide has all the instructions for how to become a commissioner for oaths. It is also the material that you will need to study for your test. commissioner for oaths testing is done by a lawyer to make sure that you understand the role and responsibility involved with being a commissioner for oaths. The commissioner for oaths testing will also ensure that you are properly able to administer an oath and solemn declaration. What Do I Need To Bring To Commissioner For Oaths Testing? How Do I Get Ready For My Commissioner For Oaths Test? The most important thing to get ready for your commissioner for oaths test is to study the guide. The guide includes all the key aspects of administering your role. If you are not able to successfully pass the test, you will need to re-book for another day to have the commissioner for oaths test re-administered to you. know how to deal with the various scenarios contemplated in the study guide. How Do I Book Commissioner For Oaths Testing? 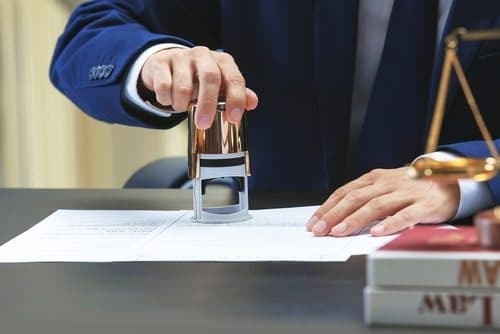 If you are looking to become a commissioner for oaths, Kahane Law Office in Calgary, Alberta is able to administer commissioner for oaths testing. We are usually able to have you in for testing withing a day or two of calling us. If you are interested in booking a testing session, call us at 403-225-8810 or email us directly here.